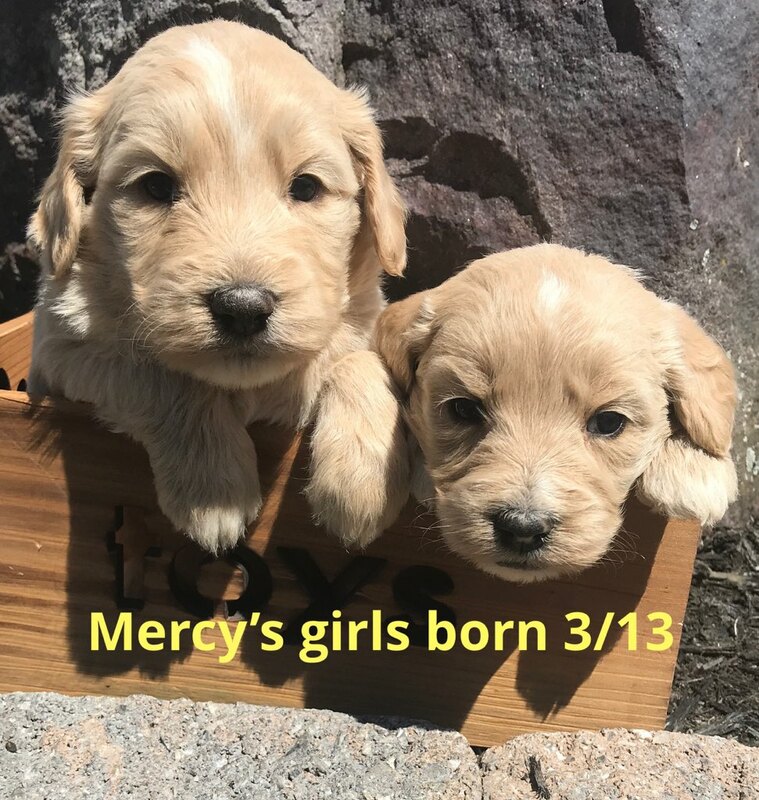 We are now accepting deposits now for the below litters. 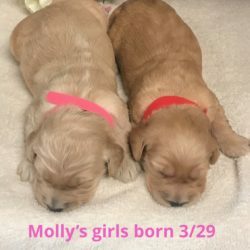 Individual puppies can be held until the holidays for additional costs that would include crate training, manner training, additional vaccines/deworming and spay/neuter. 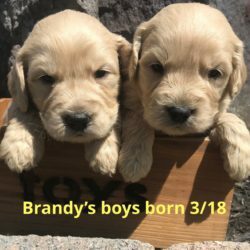 Please inquire for additional information! 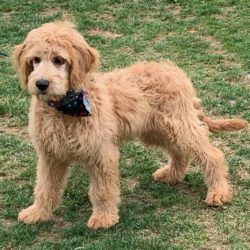 ..:: CLICK IMAGES BELOW FOR LARGER VIEW ::..
"MARVIN" is a 4 month red male Doodle that is currently neutered, crate trained, very playful nice, lovable boy! 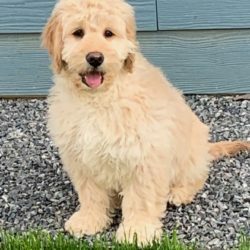 He should mature between 55 to 70 lbs when grown. 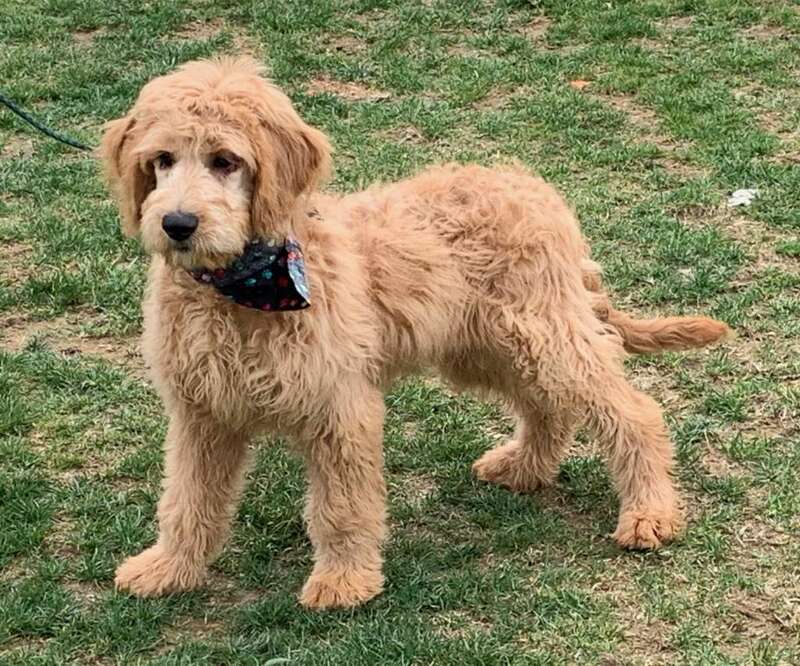 "WRIGLEY" is 3 month old buff, stocky male Doodle that will mature between 50 to 60 lbs when grown. 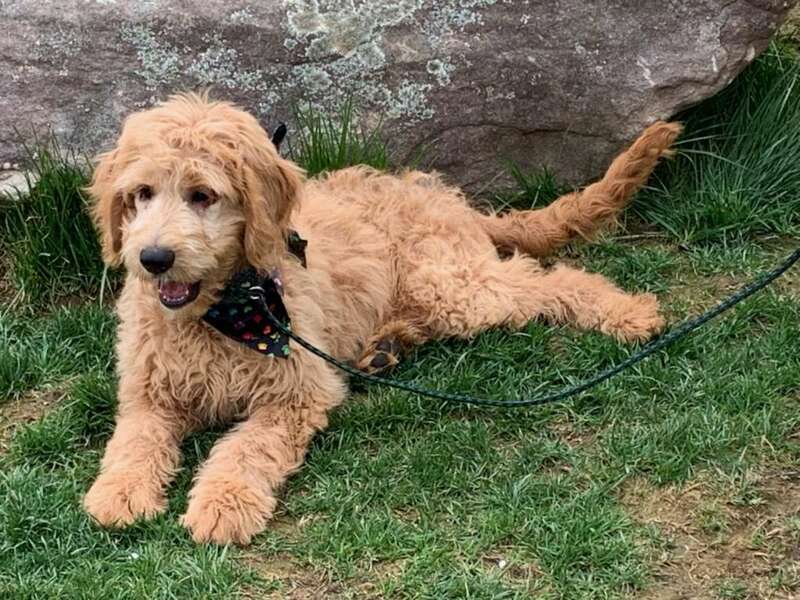 He is also neutered and started with crate training. 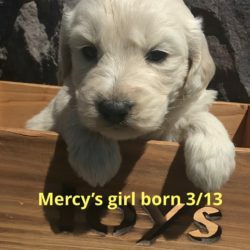 Extremely sweet! 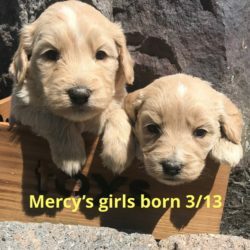 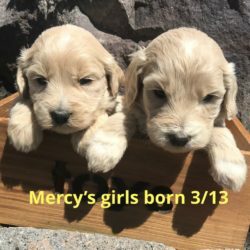 Mercy and Bronson have a litter of first generation standard Size Doodles (65 to 80 lbs) that were born on March 13, 2019 and will be ready to go the first weekend in May. 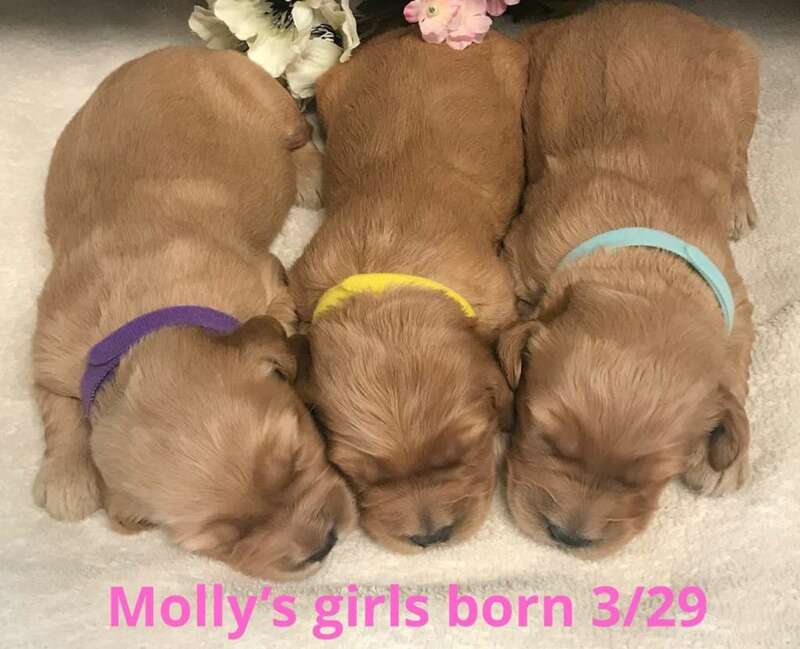 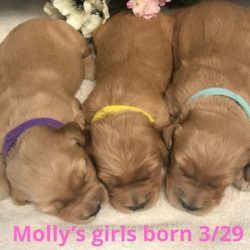 Brandy and Bruno have a litter of first generation Mid Size Doodles (40 to 55 lbs) that were born on March 18, 2019 and will be ready to go the second weekend in May. 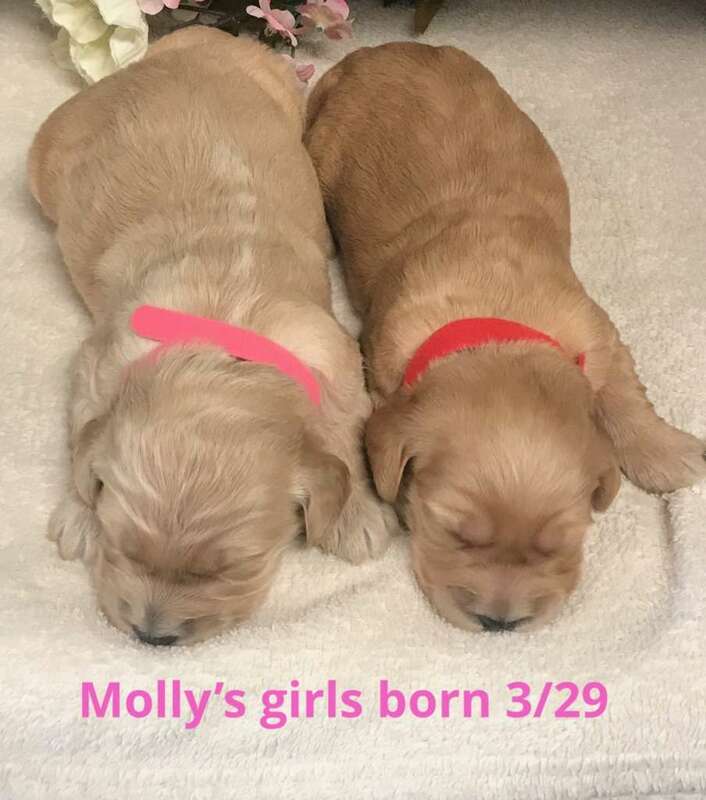 Molly X Bronson have a litter of standard Doodle puppies ( 60 to 80 lbs) that were born on 3/29. 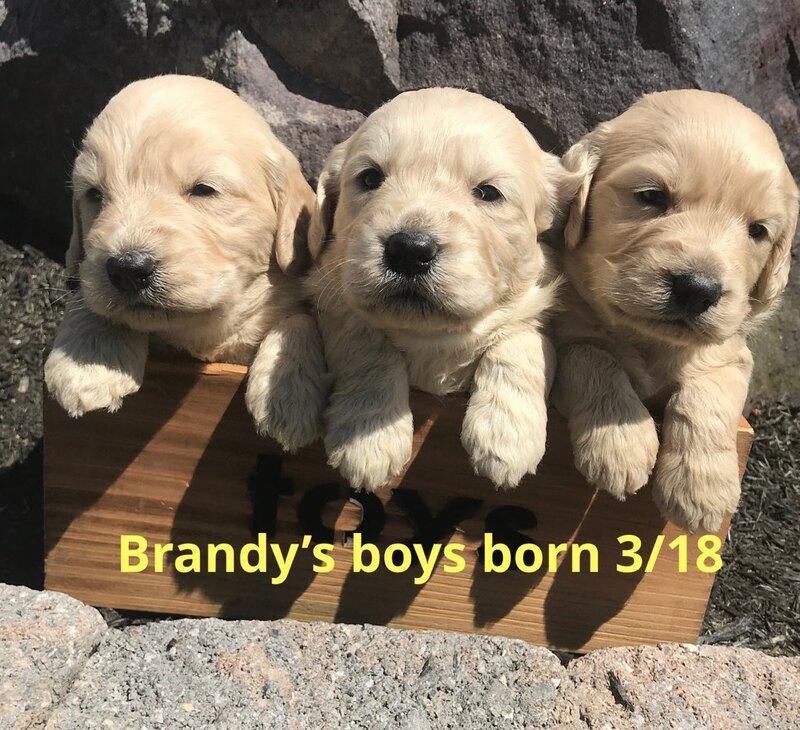 They will be ready to go the weekend of May 18th. 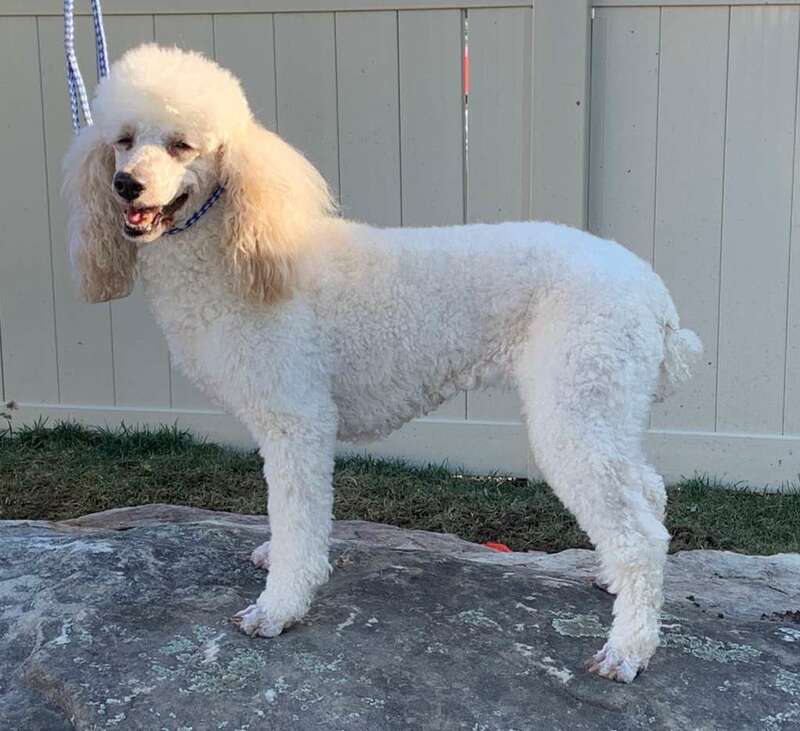 "Ollie" is an AKC 9 month old Moyen Poodle neutered male puppy. 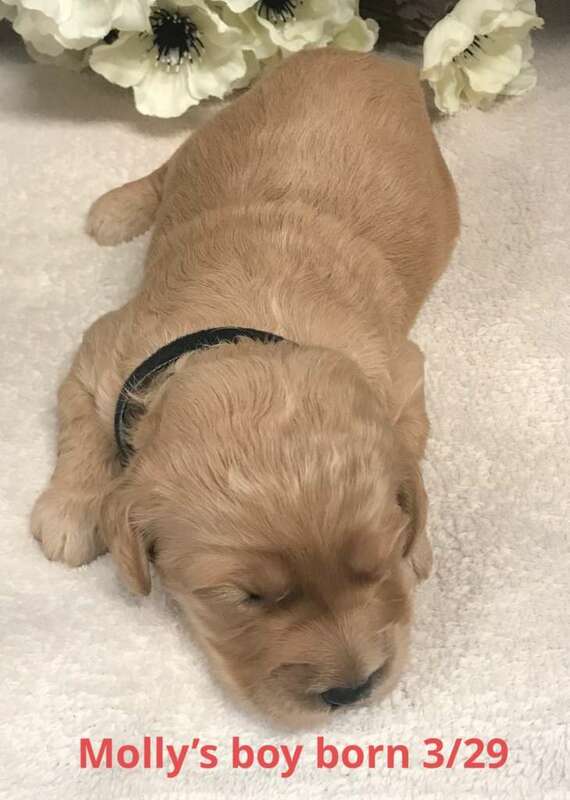 He is fully vaccinated and dewormed. 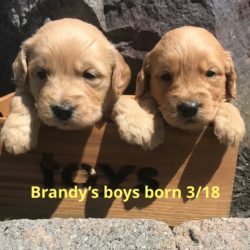 He is super sweet, playful and full of himself! 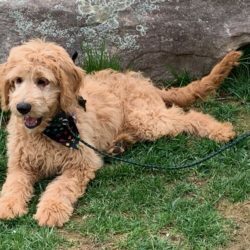 He is crate trained and good with other dogs! "Khloe" is an older AKC retired spayed female large Miniature Poodle looking for a good home. 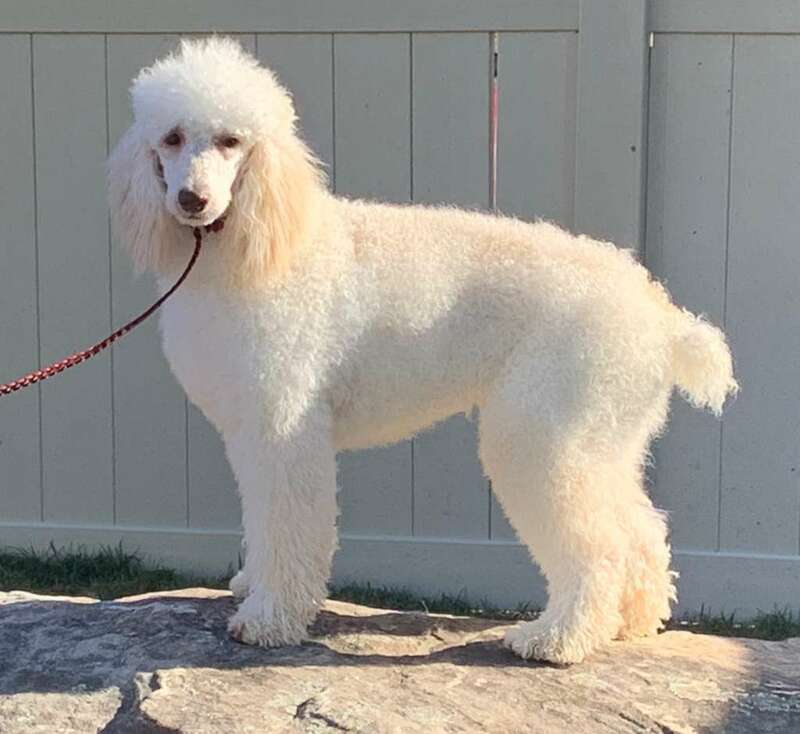 She is fully vaccinated, dewormed and had a recent dental cleaning. 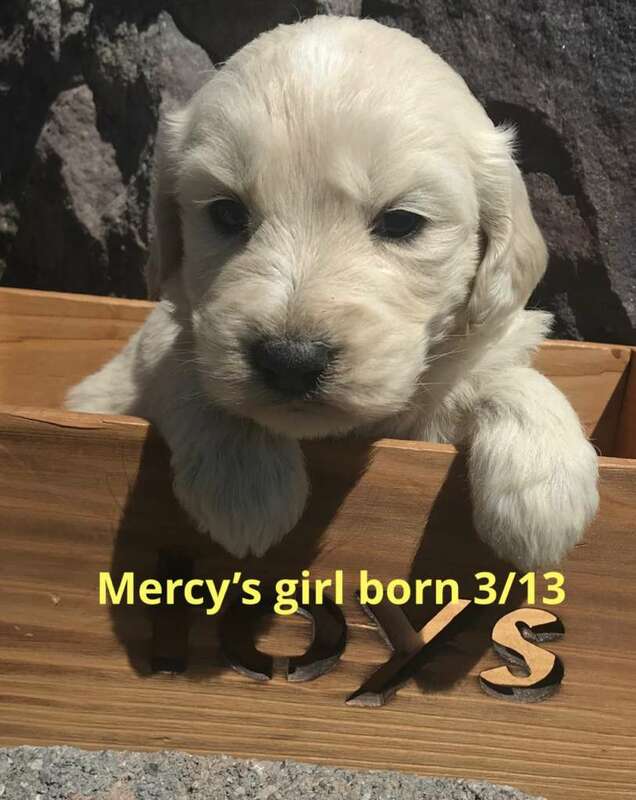 Extremely sweet and mellow personality! 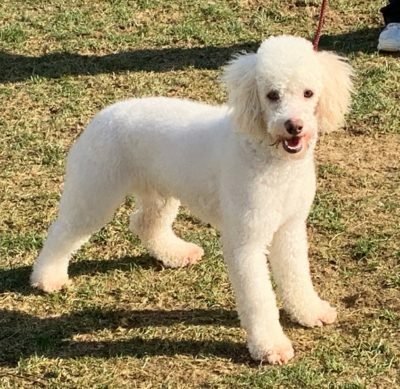 "Conway" is an AKC 1 year old white small miniature neutered male Poodle. 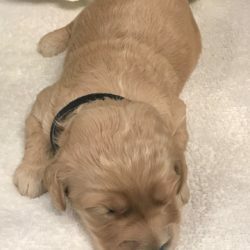 He is fully vaccinated and dewormed. 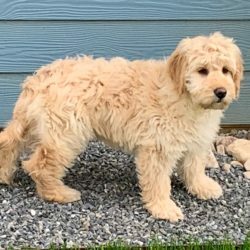 He is full of energy but can be shy around new people and surroundings. 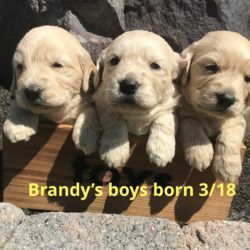 Very good with other dogs!